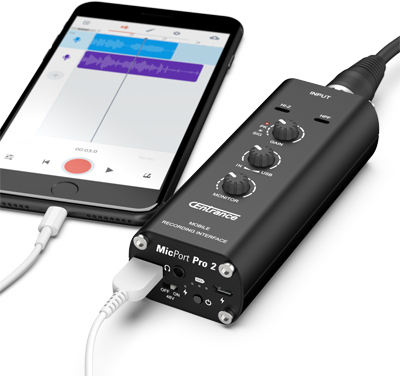 CEntrance has announced the launch of MicPort Pro 2, a follow up to their award-winning, and hugely popular mobile recording interface. The new version of the acclaimed mobile recording interface incorporates all of the sonic improvements developed for the company’s Mixerface product, and like MixerFace, comes with a built-in rechargeable battery. MicPort Pro 2 uses the company’s critically acclaimed Jasmine(tm) Mic Preamp that features 20dB more gain and less noise than the original. Its analog-to-digital converters operate at 24-bit/192kHz and feature broadcast-ready performance. 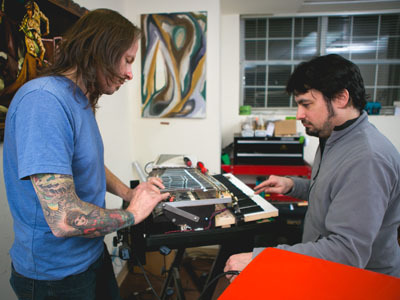 MicPort Pro 2 is designed for artists on the move. It features a single, high-quality input and a stereo headphone/line output. Smaller than a microphone, the interface is lightweight and was designed with frequent travelers in mind. The new MicPort Pro 2 has an MSRP of $249.99 USD. SPL of Germany has announced the release of Hermes, a mastering insert router with dual parallel mix channels. Hermes is SPL’s latest addition to their expanding range of unique mastering devices. As a mastering router the new product provides connections of up to 8 dual-channel processors. An audio signal can be routed through these processors in any order. User definable presets allow the comparison of complex processing chains with just a flip of a button. In addition, Hermes has two integrated parallel mix stages that work with any of the eight processors allowing for example, the comparison of two compressors with different parallel mix settings. The parallel mix stages are stored with the processing chains. Hermes is available now from dealers in the US and Canada through its distributor Audio Plus Services. 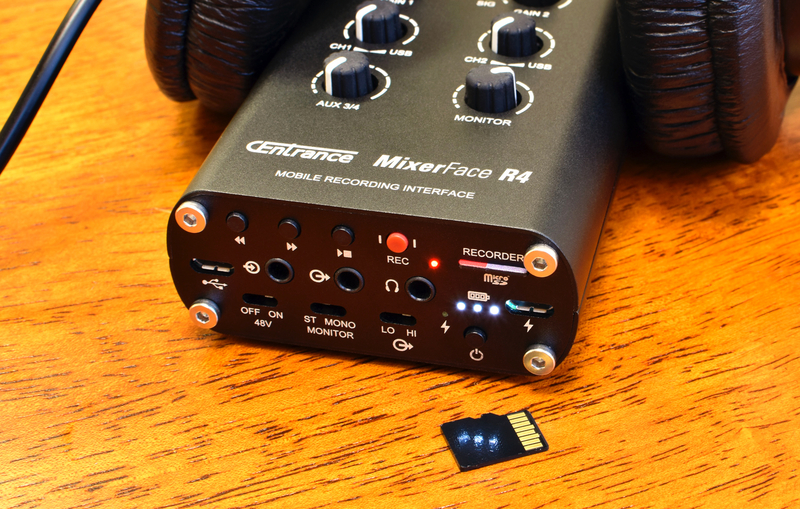 CEntrance has announced the launch of MixerFace R4R, a new version of the acclaimed mobile recording interface that now comes with a built-in audio recorder. The new model retains all the features of its parent MixerFace R4, (released in July), but adds a built-in, “one-button record,” stereo micro-SD card recorder for added in-the-field flexibility and extra recording redundancy. The original MixerFace R4 turns a smartphone into a portable DAW, ideal for capturing musical ideas, interviews, or live events at a remote location. Invaluable for podcasting, video blogging, newsgathering, live streaming, songwriting, and other mobile recording uses, the passport-sized mobile recording interface makes it easy to record professional-quality audio anywhere. An internal, long-lasting rechargeable battery sets the CEntrance product apart from other portable audio interfaces and makes it the ideal companion for the road. Two built-in high-quality mic preamps with true 48V phantom power let users choose their favorite microphones for recording. The Neutrik Combo input jacks with the Hi-Z feature allow plugging in electric guitars and basses, which makes MixerFace R4 an ideal practice tool, idea pad, or on-the-gig mixer. Lauten Audio announced the LS-208 microphone aimed at the needs of live recording for spoken voice in broadcast, live sound reinforcement, and in the studio. The new microphone is the first in the company’s new “Synergy Series” line. 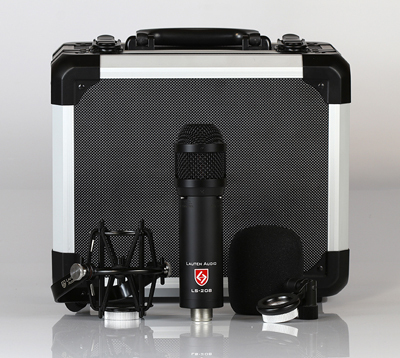 The LS-208 is a front-address, high dynamic range, large diaphragm condenser microphone designed for recording voice in podcasting, radio and broadcast, and live instruments on stage for touring productions-as well as many studio recording environments. 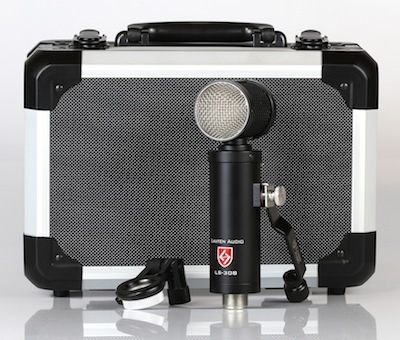 The microphone is constructed from top quality components found in many high-end studio condenser microphones, yet it is built and packaged to withstand the rigors of broadcast and touring. The LS-208 has a street price of $599.00 USD and is available now from dealers in the US and Canada through its distributor Audio Plus Services. SPL of Germany is now shipping their new “Crescendo” 8-channel microphone preamplifier featuring SPL’s unique120V technology. This is the first mic pre that operates with an internal operating voltage of 120V. SPL pioneered the 120V technology in their ‘Mastering Series’ hardware such as the PQ Equalizer and IRON Compressor, and have now brought 120V technology to their recording products with the Crescendo 8-channel mic pre. The other key design feature of the Crescendo is the sheer transparency of the preamp electronics, adding as little sonic influence as possible to the recorded sound. 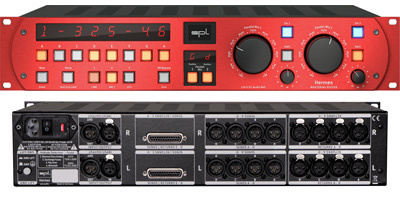 The new 8-channel mic pre is distributed by Audio Plus Services in the US and Canada, and retails for $6,499 USD. 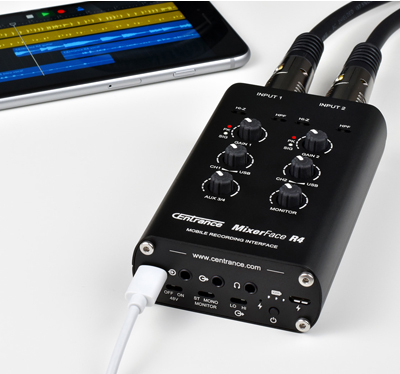 CEntrance announced they are shipping the MixerFace(tm) R4 – Mobile Recording Interface(tm) which is designed for songwriters, podcasters, video bloggers, and others to easily record professional-quality audio anywhere using a smartphone or a tablet. The handheld, 4-channel device turns a smartphone or tablet into a DAW, making it quick and easy to capture musical ideas, remote interviews, field recordings, or live stream audio with video. The built-in high-quality mic preamps feature true 48V phantom power, so users can choose their favorite microphone for recording. An internal, long-lasting rechargeable battery sets MixerFace R4 apart from other portable audio interfaces and makes it the ideal companion for the road to record audio from almost any location. MixerFace R4 also features balanced studio monitor outputs and can double up as a USB recording interface in a project studio. SPL of Germany has announced the release of 3 new devices that expand their Mastering Series hardware line. 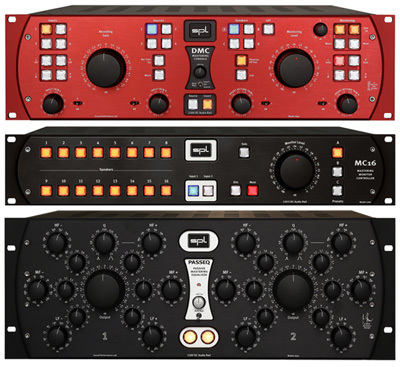 The three new units are the redesigned DMC stereo mastering console, the MC16, a 16-channel analog mastering monitor controller, and the updated PASSEQ, passive mastering equalizer. All three products are now shipping and are available in the US and Canada through distributor Audio Plus Services. 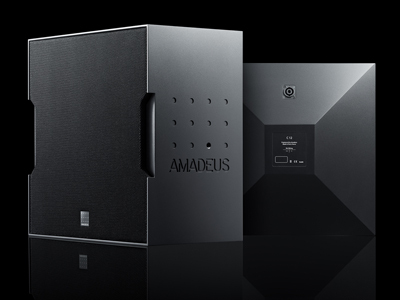 Designed by Amadeus, the new C Series is a high-definition series of point source speaker systems combining Amadeus’ deepest innovation and technology. Initially designed and manufactured specifically for the Paris-based Theatre National de Chaillot (Chaillot National Theater), which houses the most prestigious dance and theater companies from Europe and throughout the world, the C Series (‘C’ is a tribute to Chaillot) is Amadeus’ latest speaker innovation. The new “C Series” speakers started shipping in May 2018. The C Series comprises two different models, with plans for other models in a near future. The C12 is based on a 2-way point source transducer featuring a 12-inch woofer, and a 1.75-inch driver. The C15 is based on a 3-way point source transducer featuring a 15-inch woofer. The C 15 also features two neodymium diaphragm compression HF drivers, coaxially mounted with a single acoustical output, and coupled to an individual waveguide. Both models include a unique diffraction horn, each is specific and optimized to get a vertical dispersion of 60° and a horizontal dispersion of 90°, which can be inverted by rotating the system 90-degrees. This type of load ensures a perfectly uniform coverage and an excellent spectral quality throughout the whole listening area.